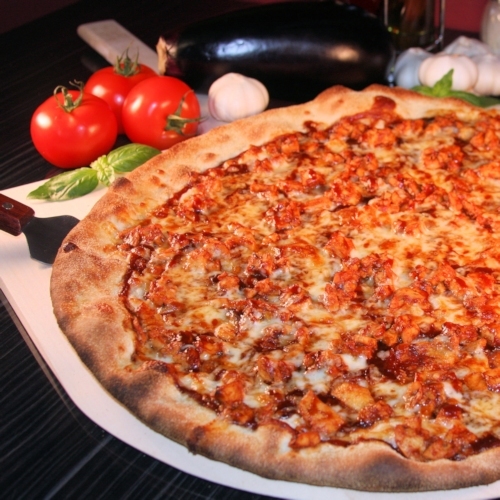 Ingredients: Fresh Grilled Chicken, Delicious Barbeque Sauce and Mozzarella. You know you want one! Save $3.00* on a large Barbeque Chicken Specialty Pizza for a limited time only. Don't miss out! Grab yours today! The pizza below was made and photographed in our West Haven restaurant. * Discounted specialty pizzas can not be combined with any other coupon or offer.